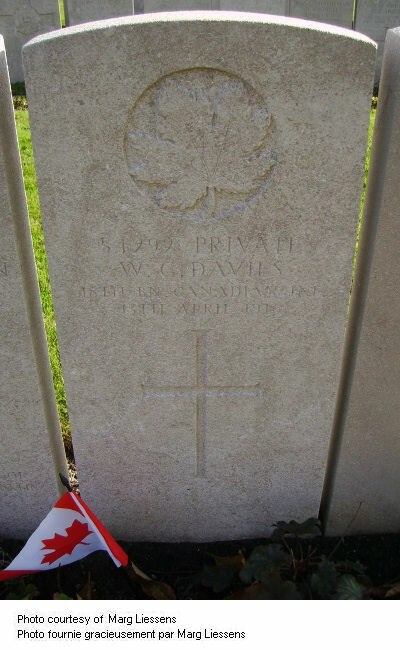 Davies, William Griffith: Service no. 54292. Photograph contributed by John P. Sargent via 18th Battalion Facebook Group post. So I’ll take off my hat to his name. 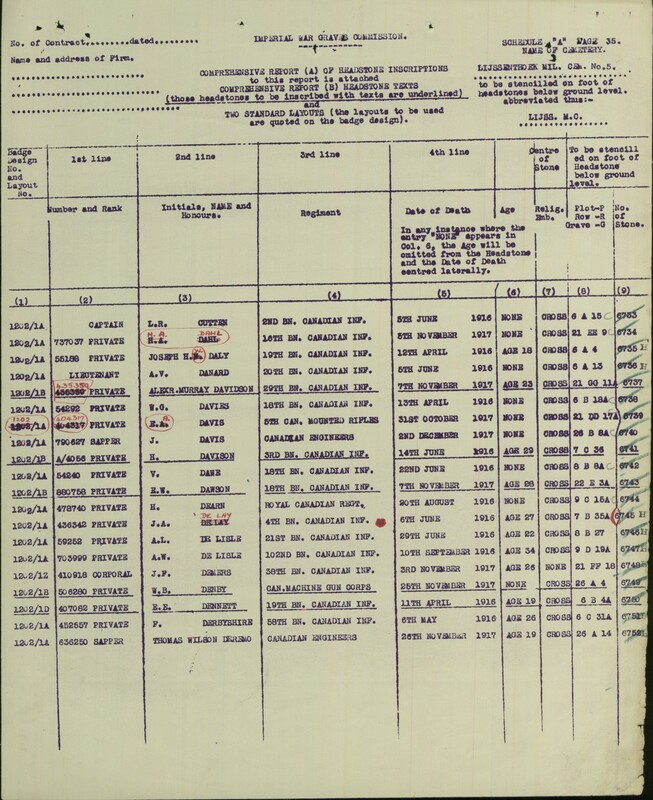 A telegram addressed to his gather, Mr. Richard Davies, of — Egerton street, announces that Pte. 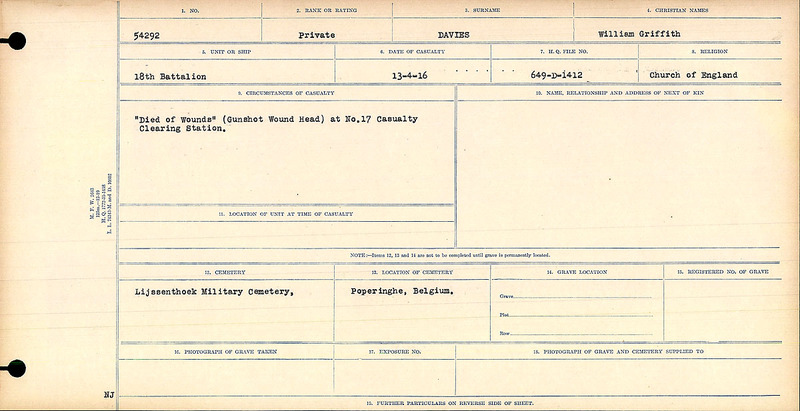 William G. Davies, infantry, died of wounds at No. 17 Casualty Clearing Station on April 13. Pte. 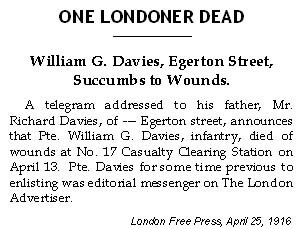 Davies for some time previous was editorial messenger on The London Advertiser. 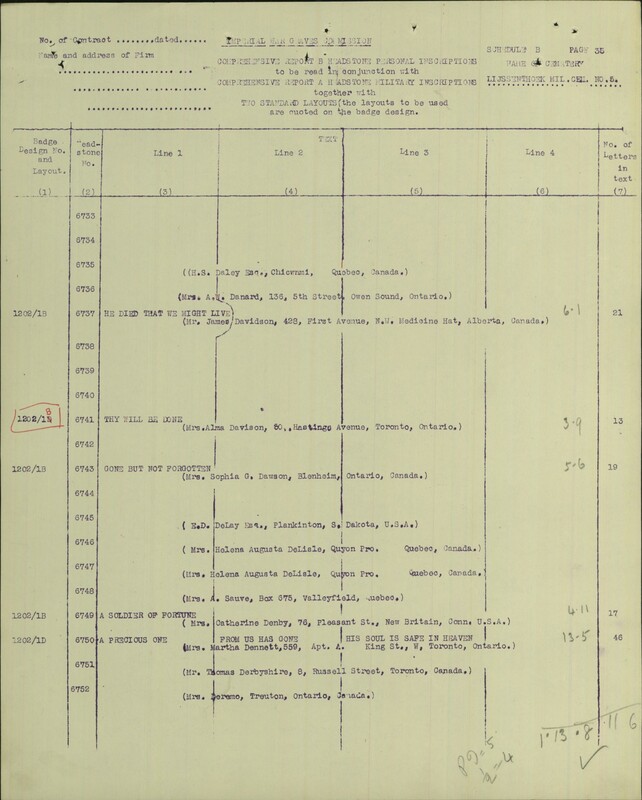 “Died of Wounds” (Gunshot Wound Head) at No. 17 Casualty Clearing Station.